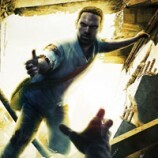 The recently launched action game from EA sets new levels of quality across the board. 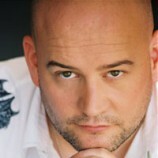 I talk with Borislav Slavov Music Director & Composer of Crysis 2 about working on the soundtrack to this landmark game. How did you get started scoring for games? 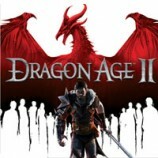 Borislav: I have always been a gamer and a huge fan of soundtrack music at the same time. Although I am Master of Computer Science, I used to sing and play guitar and eleven years ago, I decided to follow the passion of my life – soundtrack music. This was the moment when my professional development as a composer started. Luckily at the same time a game studio in my home city announced the development of a real-time strategy PC game, called “Knights of Honor”. I took the chance and applied for the music production. Fortunately the CEO of the company liked my compositions and gave me the job. From this point on, my music ventures in the video game industry has never stopped. 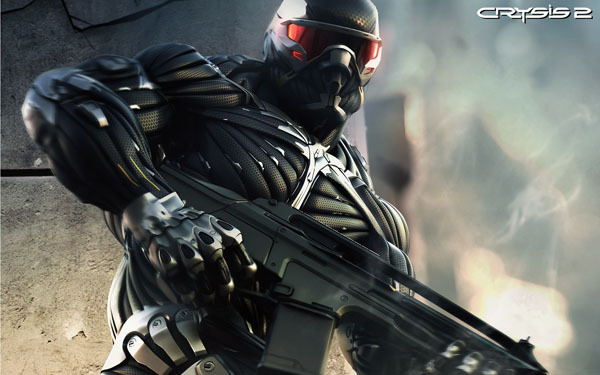 Describe your compositional process when working on Crysis 2. What were your aims? 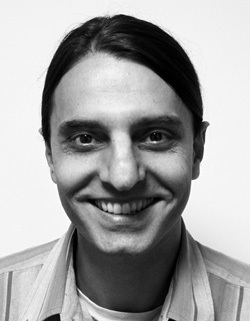 Borislav: The score for Crysis 2 was a huge undertaking (about 5 hours of music material) in which I collaborated with the creative lead of Dynamedion, Tilman Sillescu. After I was invited to join the production as a music director and composer we met with Tilman and through a series of work sessions I introduced the direction and the interactive music approach to him. The main goal we aimed at the very beginning was to achieve not only a high quality action oriented score, but an action, full of drama and twists. The story of the game provided plenty of ground for varied and dynamic music compositions. After we got familiar with all the game details, we decided to divide the work in two virtual parts. Tilman and his guys in Dynamedion focused more on the alien nature of the score, while I started to work with my colleague Victor Stoyanov in Sofia on the more dramatical parts and cut-scenes in the game. Every single day we collaborated through the internet, sharing ideas, opinions and feedback with each other. I believe this was not only important, in order to keep the score consistent, but it was also very inspiring and provoking for everybody in the music team. Every track we composed was intended to suit a particular faction, mood or cut-scene in the game. It might be curious for you to know that there is approximately one and a half hour of music, composed exclusively and used only for the cinematic scenes in the game – pretty much a full-time movie, spread out all over the game. We have also made 2 hours of interactive fight themes, which interactively followed the different intensity situations in the game. And last but not least, we got the amazing chance to collaborate with the Hollywood veteran Hans Zimmer who joined the team to deliver the main themes for the game. Five months after we had started to work on the score, the CEO of Crytek and the lead of the project Cevat Yerli and the Senior Audio Director Campbell Askew and myself traveled to LA to meet Hans Zimmer in his legendary studio “Remote Control”. No need to say how I grateful I am for this opportunity to them and what an amazing experience it was for me. We spent a couple of unforgettable days together during which we introduced the score to him and discussed the themes he was going to contribute. I am happy to let you know that a double CD compilation of the soundtrack, featuring the themes from the legendary Hans Zimmer will be released pretty soon. Did you utilize any of the previous games musical themes? Borislav: With the complete change of the setting (the first part was taking place on lush tropical-like islands, while Crysis 2 is based in the urban jungle of New York) it was decided that we should start with a completely new approach and themes for the music. The catastrophic beauty of the invaded New York required its own music identity. The CEO of Crytek and leader of the project, Cevat Yerli gave the idea of special themes in the game – for the city of New York and another one which we used to represent the alien presence, which we called the Alien Logo. 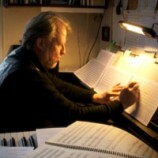 What were the biggest challenges working on the score? Borislav: Well, the amount of the music material needed to feed the interactive music system was definitely the biggest challenge. As I told you earlier the score ended up being about 5 hours long. And it was not a problem to produce such an amount of music, but to keep the high quality and inspiration in every single track from the score. One of the most important direction goals from the beginning was to achieve solid score not just in terms of production values, but a soundtrack driven and inspired by the game it self. Another challenge was to make all the cues in such a way that they are equally enjoyable in-the game and as stand-alone compositions, which to my opinion makes the difference between a good and an excellent score in general. Whether we succeeded or not, I leave it to your judgment. Is there a particular element of the soundtrack you are fond of? Borislav: The classical solo violin that we used as a representation of the human spirit against the alien invasion, was for me a very strong and emotive element. My favorite pieces, where it appears in are “SOS New York” and “Nanosuit 2 – Crynet Systems”, but you can hear the violin passing through the entire score like a gentle , yet strong vibe. You worked with a live orchestra to record the score. How was this experience and how did it differ from creating a score entirely from samples? 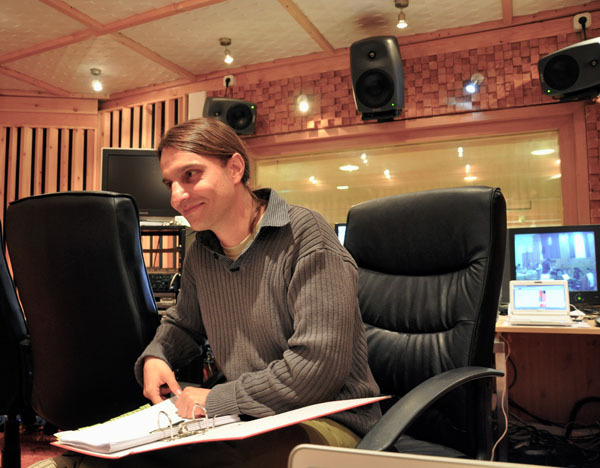 Borislav: After we did the score with samples we decided that we would like to raise the production values and the ‘spirit’ of the score by going for live orchestra recordings in the beautiful city of Budapest. Some of the tracks we recorded with full orchestra ensemble, the rest – section by section (strings, brass) and then we mixed them with samples, electronics and programmed percussion. While today there are excellent professional sample libraries, I still believe that nothing can fully compare to the live touch and spirit added by the live musicians. You can make excellent compositions with samples, but if you would like to add ‘magical dust’ to your music – then live orchestra is the way to go. Of course, there are different types of compositions. Some action Hollywood scores for instance are just fine with samples only, due to the fact that they are mainly based on percussions and simple yet clever and effective figures. On the other hand, could you imagine the Star Wars score by John Williams with samples? So… all in all it still depends on what your style and goals are. What advice could you pass on to newer composers getting into the business? Borislav: I would tell them what a teacher of mine used to tell me “There is no such thing like – I can not do it! There is only – I don’t really want to do it”. Do not give up, go with small steps if you have to, but never stop. It is only a matter of time and …a pinch of luck. I wish you good luck! Everything else is up to you. What projects are coming up next for you? Borislav: At the moment me and my colleague are working on a score for another action game, after which I need to go on scoring an online RPG, however I am afraid that I am not allowed to reveal any details yet. 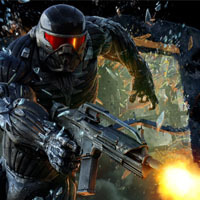 The Crysis 2 Soundtrack can be purchased from Amazon and iTunes.